This event offers one of the chances for visitors to stock up on classic parts, spares, accessories and gear for the season ahead. It’s a very popular date on the motoring event calendar, attended by more than 16,000 enthusiasts every year. 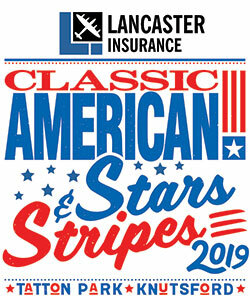 If you’re looking for a specific part to complete your latest restoration, chances are you’ll find it on one of the trade or autojumble stands at the Classic American’s Stars & Stripes Show! The Show is filled to the rafters with specialist traders who can help you fin everything you could possibly need, at a bargain price. From parts and spares to accessories, memorabilia and collectables, the American car’s world is here and all under one roof.